A few years ago, I paid a visit to Scotland, in part to embark on an alcohol pilgrimage. And what an experience it was for a whisky fan to tour the different distilleries and witness first-hand the whisky-making process. For most of us in this part of the world, a trip to the five undisputed whisky regions can be quite the financial and chronological undertaking. Fortunately, Chivas Regal is now bringing a slice of Scotland right to your doorstep. It recently launched a blending kit featuring a selection of whiskies and tools that will give you the opportunity to create your very own whisky blend. The kit contains four single malt whiskies and one blended grain whisky, each representing the five different flavour characteristics (floral, fruity, citrus, creamy and smoky) as well as a pipette and a beaker for your blending experiments. Sandy Hyslop, the director of blending for Chivas, was excited that whisky fans could now partake in the craft of blending in their own homes. “At Chivas we believe that blended is better – in life and in Scotch. Every day I get to indulge in my greatest passion, experimenting with the world’s finest malt and grain whiskies to create something extraordinary when blended together – and this passion is something I want to share with other whisky fans,” he said. 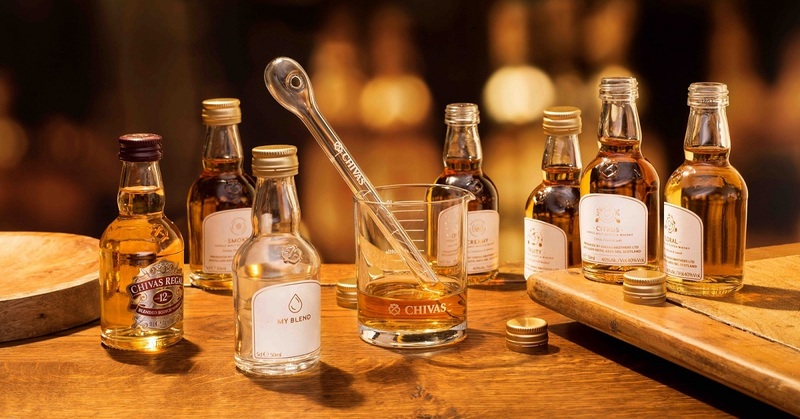 If you need some blending pointers, Chivas has put together some tips at this microsite. Or check out the hashtag #MyChivasBlend on Instagram for ideas. We reckon the blending kit makes the perfect gift for yourself or for that special someone in your life. And if you’re racking your brains for a Valentine’s Day present, well, look no further. The Chivas Regal Blending Kit is priced at S$50 and is exclusively available here.